Last night I took the dog for a walk around our yard. While we were walking, I could not help but notice how many acorns were on the ground. There were so many perfect little acorns. I began to pick them up & before I knew it I had an armful. 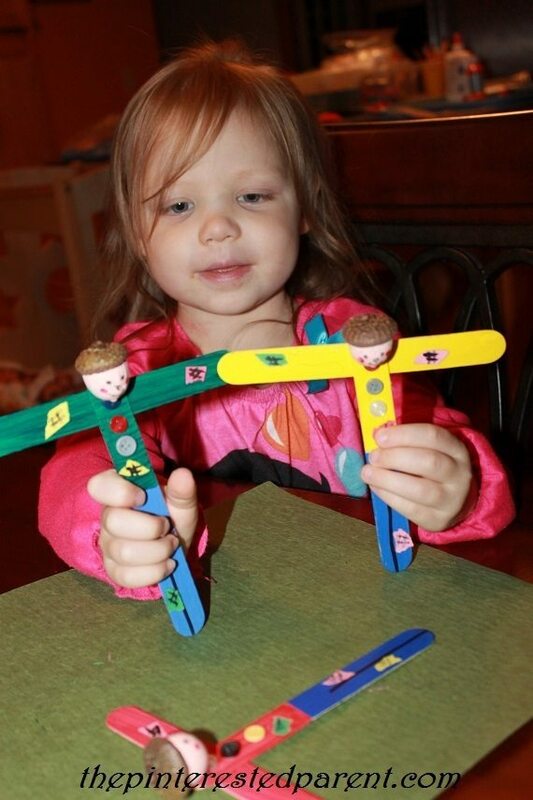 I thought my daughter & I could make some fun fall crafts with them. 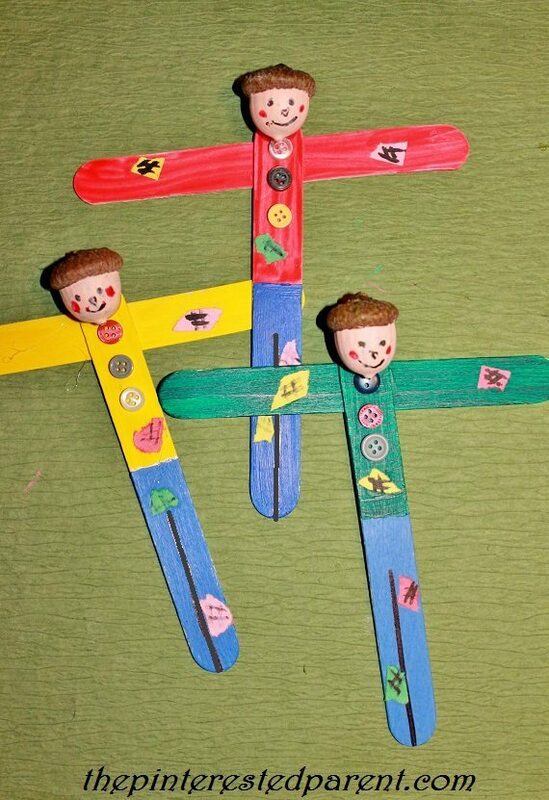 I wanted to make scarecrows out of them & crafts sticks. My daughter had a different idea in mind & decided to make acorn soup instead. While she made soup, I started the craft. Here’s how. 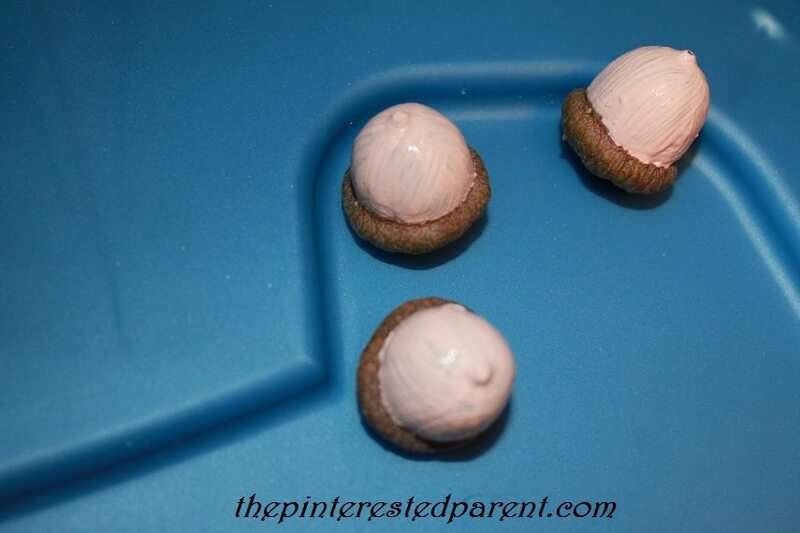 Paint the bottom portion of the acorn in a flesh toned color & let dry. Paint in simple little faces. 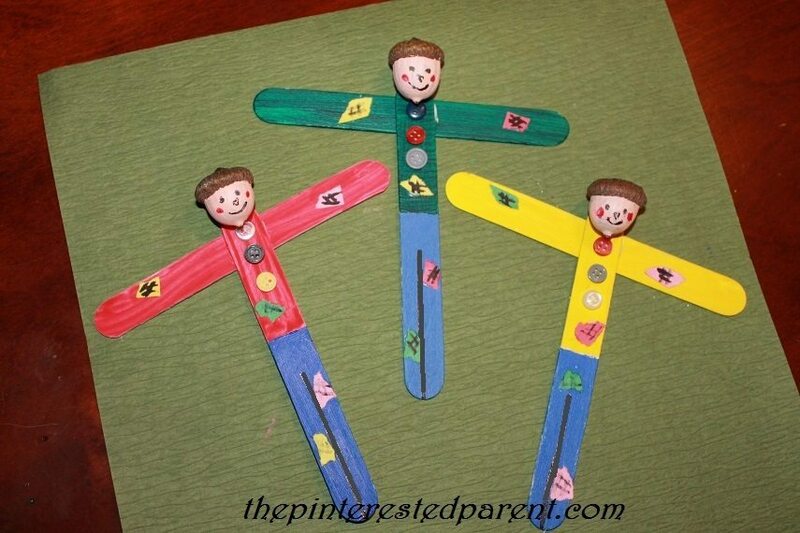 Paint a craft stick in two different colors for each scarecrow you would like to make. One color will be for his shirt & one will be for his pants. 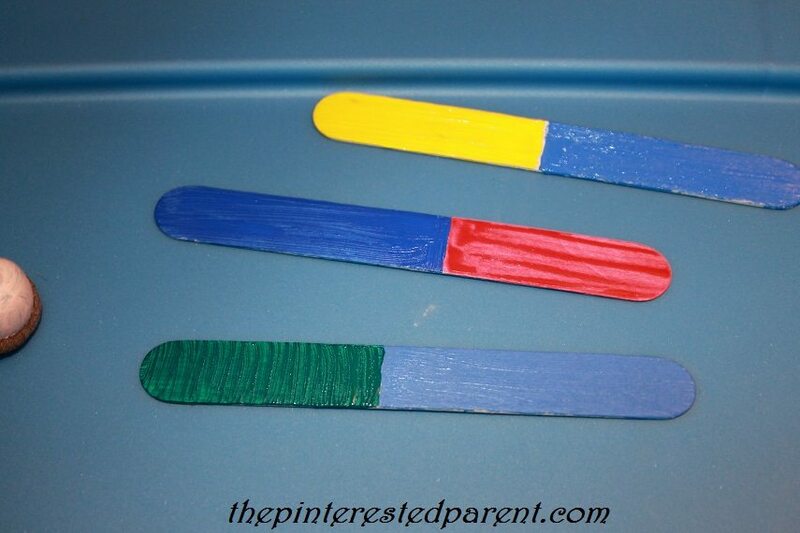 Paint another stick in one color. This will be the same color as your shirt. Let the sticks dry. Draw a line 3/4 of the way up the center of the color for the pants portion. 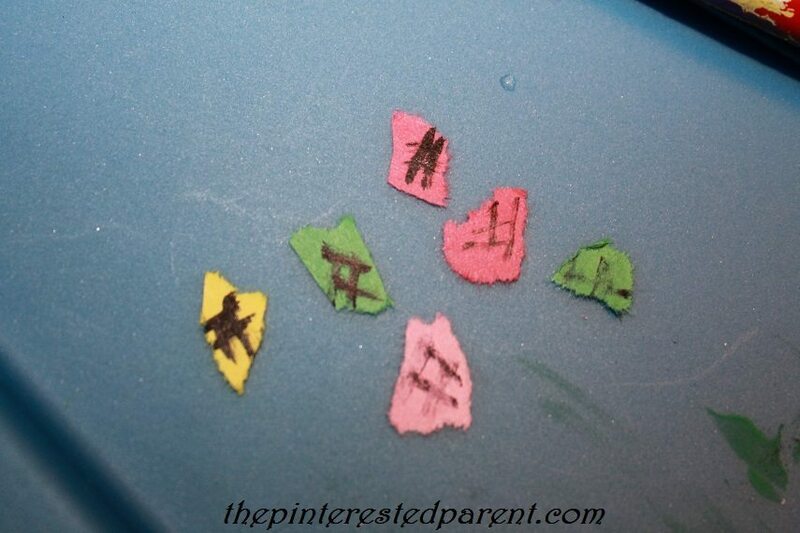 Tear tiny pieces of construction paper in different colors. Draw little hash marks on them. 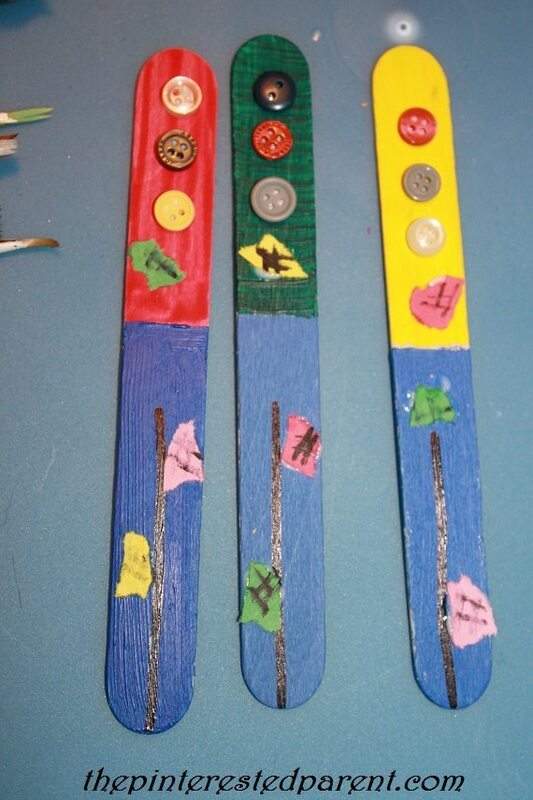 Glue the torn paper on the sticks to look like patches. Add buttons to the top half to form the shirt. 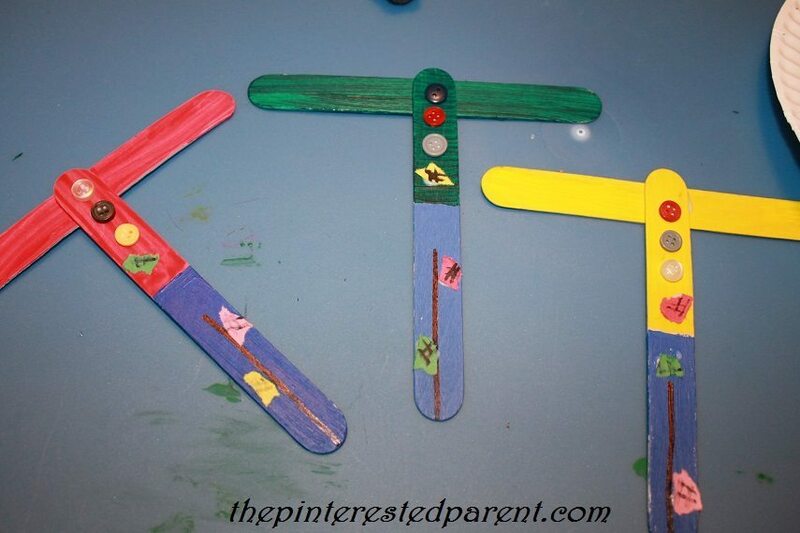 The the other stick behind the first in a “T” formation. Mai took a break from her acorn soup to play with her scarecrows.